While aircraft were first regularly used in combat in WWI, it wasn't until WWII that air warfare really came into its own. Soon, you'll be able to show your air superiority in Memoir '44 with the new New Flight Plan expansion, coming soon from Days of Wonder. You'll be able to deploy new air units to hinder the enemy and win the day. Ok, now I can finally talk about Thursday's Terrain Corner, because it's actually Thursday. While I still woke up thinking it was Friday, my mind's recalibrated and it actually does feel like a Thursday (being in my Thursday shirt helps, though I was also in my Wednesday shirt yesterday and that still had me feeling off, so there's that). Anyway, with a long weekend for many of us coming up, I hope you'll have some time to game. And, when gaming, it's good to have good looking gaming tables. 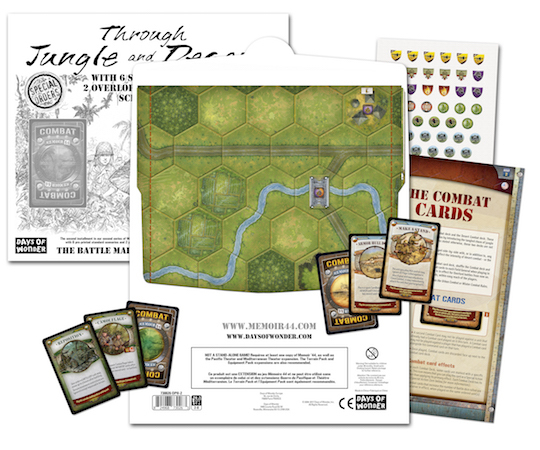 In the Terrain Corner today we have: New Kits Available To Pre-order From Plastcraft, New Battle Map Available For for Memoir ’44, MapForge Battle Map Creator Up On Indiegogo, and Dark Gotham Gaming Mat Available From Pwork Wargame. When most people think about WWII, they think about D-Day and the re-taking of Europe from the Germans. Perhaps you think about the South Pacific and the US Navy Island-Hopping their way towards Japan. Maybe your mind turns to North Africa and Rommel's armored platoons. Most of the time people don't think about the battles between the Japanese and the Russians. But those certainly played their part in the overall conflict. 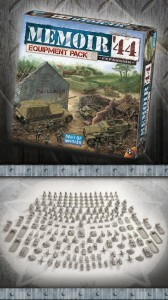 And you'll be able to recreate those using the Battles of Khalkhin-Gol expansion for Memoir '44. Days of Wonder is now taking pre-orders for their Memoir '44 Equipment Pack. There's quite a lot of models in there. The #1 request from Memoir ’44 fans was for more figures and the new Memoir ’44 Equipment Pack delivers – filling a game box as big as the original with the largest set of figures ever released for the Memoir ’44 game system. With 186 highly detailed plastic figures, the Equipment Pack is the definitive Memoir ’44 figure expansion and a “must-have” for fans. All these figures can be deployed over many of the existing Memoir ’44 scenarios, but you’ll also discover new scenarios in the Equipment Pack – 11 Standard, 2 Breakthrough and 4 Overlord – all designed with these new pieces in mind. 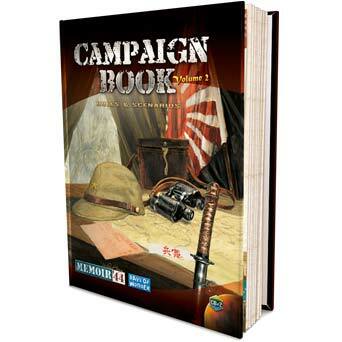 Days of Wonder releases their Campaign book for Memoir '44. Memoir '44 players so engaged year after year. Today, June 20, is the anniversary of Audie Murphy’s birthday , known as Audie Murphy Day in his home state of Texas. Audie Murphy was a brilliant US soldier who fought from Sicily to Germany during WWII, and became the most decorated US soldier of the war. At the end of WWII, he was only 20 and already received 38 medals, including the Medal of Honor and the Legion of Merit, plus French and Belgian decorations. His autobiographical account of his war experiences, “To Hell and Back”, as well as his rise to fame as an American movie star, cemented his position as an American hero and icon. We invite you to relive the fierce battles that he fought as a member of the 3rd US Infantry Division, from the beaches of Sicily to the snow forests of Germany, with Audie Murphy’s Campaign, created by Jacques “jdrommel” David, one of the most important contributors of the Memoir ’44 community with more than 200 original scenarios. We warmly thank Jacques for his exceptional work on this official campaign, dedicated to all of the soldiers who did their duty on the front, and managed to go “To Hell and Back”.